Agent Zena Messerschmitt was contemplating the difference between miners who own permits and those who don't. It's a big difference. Zena was so inspired that she decided to create some art on the subject. As we know, when communicating with highsec miners, it often helps to draw them a picture. See the difference? Code-compliant miners couldn't be happier or healthier. They're also more likely to have friends. 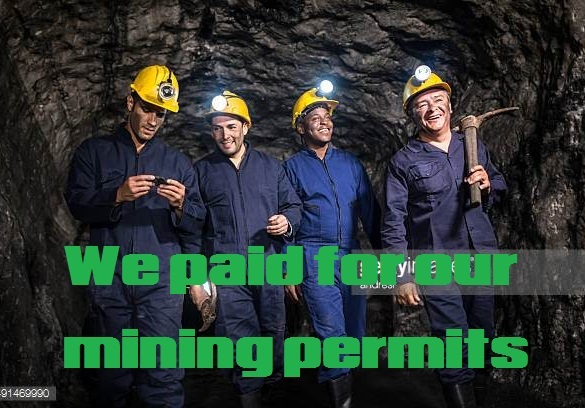 Miners who lack permits, on the other hand... Well, they're not the best. And they know it. As always, permanent links to all Agent artwork may be found on our excellent Links page. That's exactly how I imagined ag shitters would look. That's got to be thomas on the botton right? Get it, the botom? Plus he looks brain damaged from thirdworlditis or whatevah!! It really is universal that miners are the lowest common denominator. 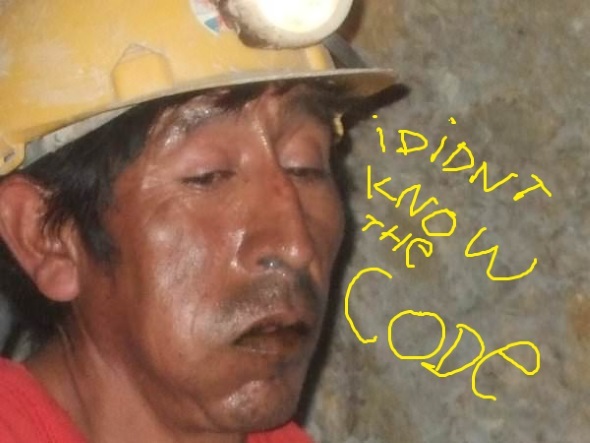 Making fun of a RL miner in distress, possibly even one in mortal danger. Sounds about right for Jamey and his CHODE. slaves. They are all keyboard warriors who haven't done a day of manual labor in their lives. There is no moral line that they won't cross.